Alumin 2 Face, Face 1, Analogue time, smooth seconds, Day number. 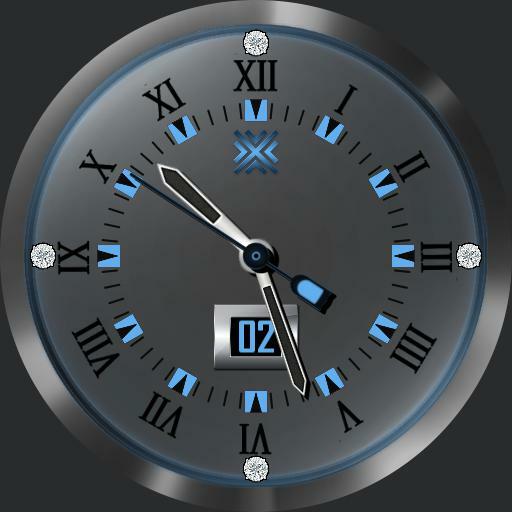 Face 2, vertical time blocks, Hours, Min, Sec, Milliseconds, date, short day name, day number, power levels for watch and cell, Sunrise and Sunset times, weather icon and low and high temperature levels. Tap actions for ucolor, fonts etc. mid left next ucolor, mid right previous ucolor, Centre to swap faces.